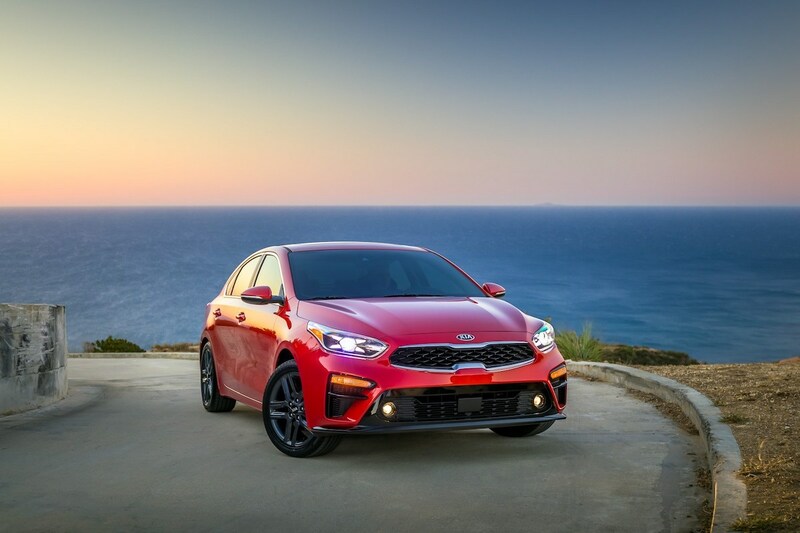 Kia revealed the 2019 Forte at the North American International Auto Show on Monday. 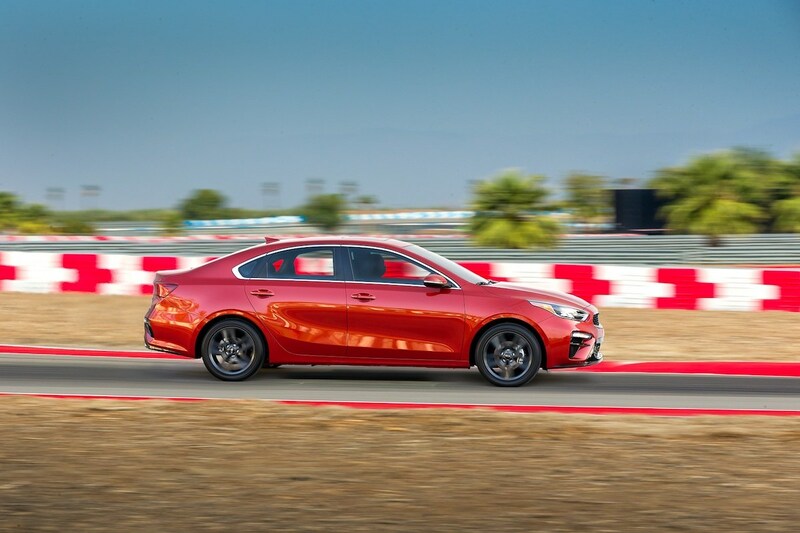 It's the third generation of its best-selling compact sedan. 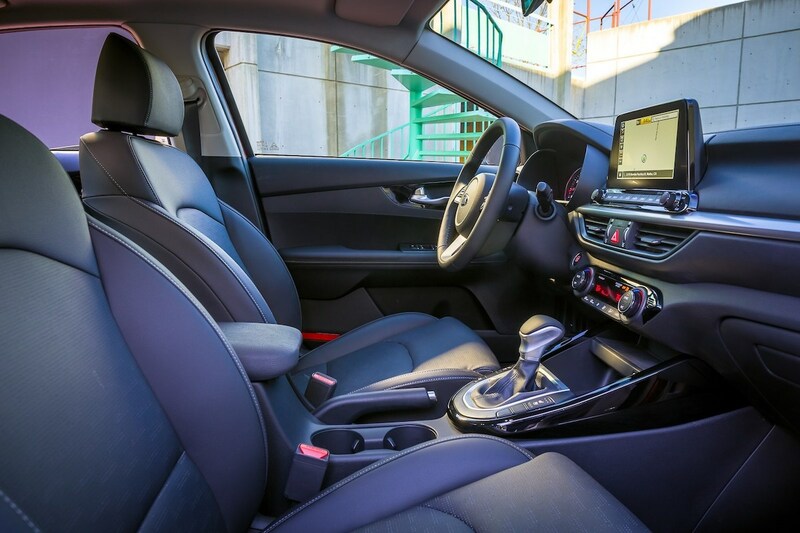 The new Forte debuts with a stylish and sporty new exterior, fuel-efficient Intelligent Variable Transmission, and an arsenal of technology in its cabin. The finished product is certainly a far cry from the sketch we were given last week, as the Forte's new look is designed to be mature first and sporty second; think a tablespoon of BMW mixed with a teaspoon of Mustang. 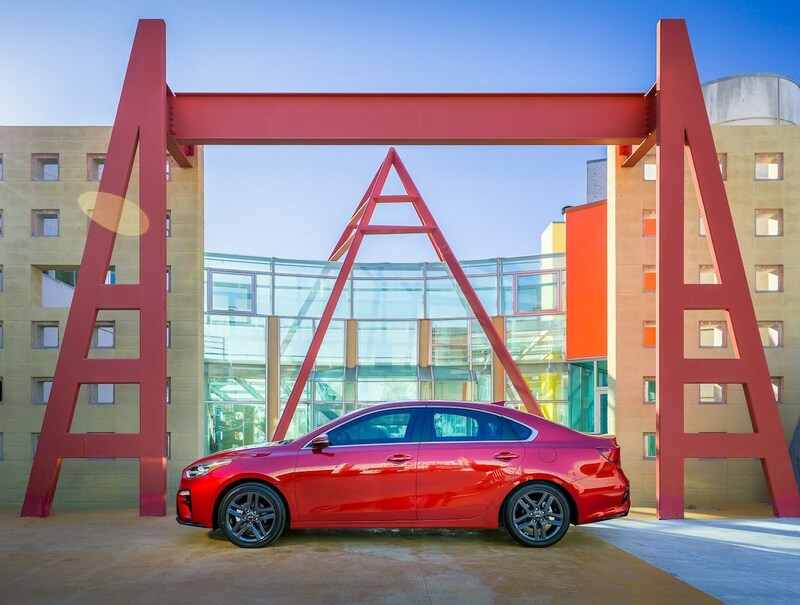 The Forte takes many of its styling cues from the Kia Stinger sports sedan to achieve a more muscular appearance. These cues are apparent in the Forte's headlights, lower valance, grille, and long fastback-like hood. 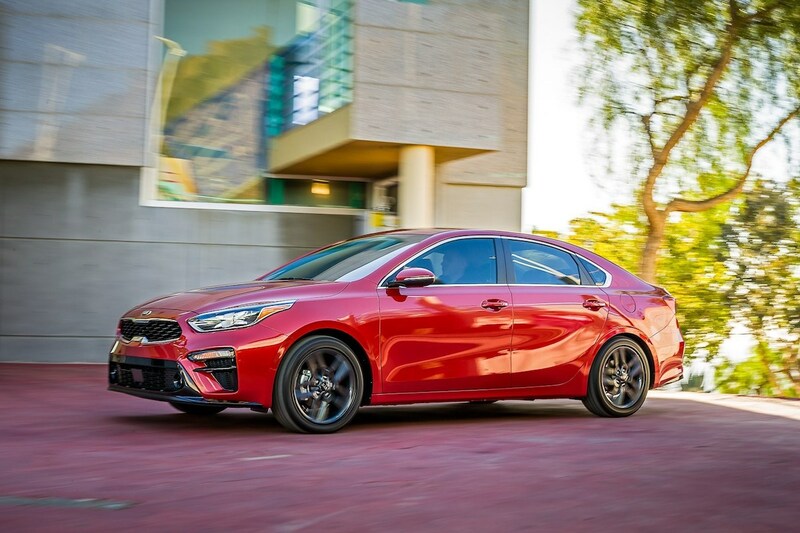 This sporty philosophy doesn't just apply to looks, as Kia's engineers have re-tuned the Forte's suspension, steering, and chassis for more agile handling. The 2019 model's body is 16 percent stiffer than last year's, which results in both exciting handling and a quieter cabin. Unfortunately, the Forte's sportiness doesn't extend to the powertrain, which features a simple 2.0-liter four-cylinder engine making 147-horsepower and 132 pound-feet of torque. It's dedicated instead to giving the Forte an estimated 35 mpg combined fuel economy thanks to the new Intelligent Variable Transmission. The IVT mimics a true automatic gearbox with "step-like" gear changes during hard acceleration but delivers power smoothly. The car borrows more elements from the Stinger for its cockpit, which now feels much more spacious. 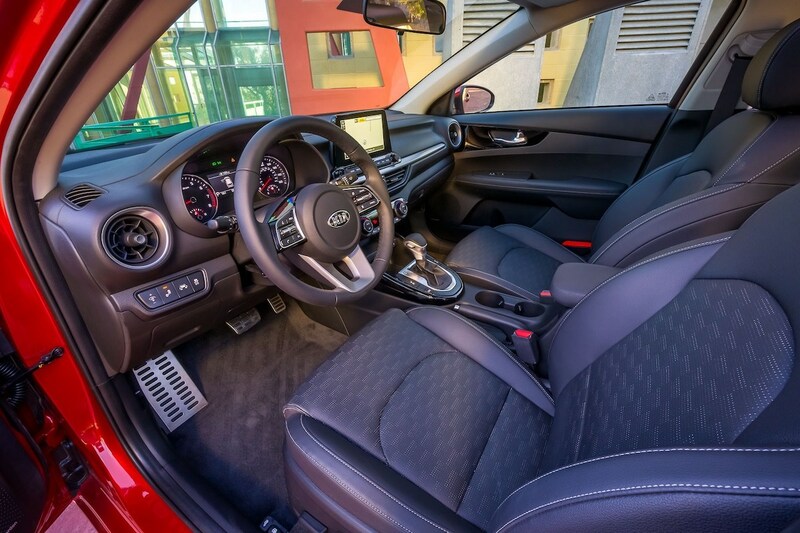 In reality, the Forte's new interior is just 0.7-inches wider than before, but the vehicle's long dashboard, minimalist center console, and overall horizontal design make it appear roomier. Android Auto and Apple CarPlay come installed as standard in the Forte's 8-inch infotainment system, but buyers can also add a wireless charging dock for supported smartphones. A premium sound system developed by Harman Kordon is also available, supposedly on all three trim levels. 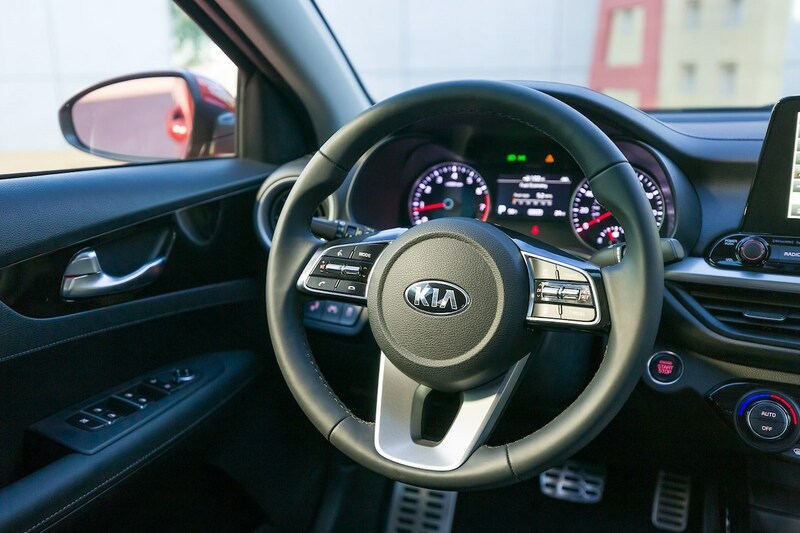 Lane-Keeping Assist and Blind-Spot Collision Warning come standard from Kia's Advanced Driver Assistance Systems suite, but the new Forte can also be optioned with Smart Cruise Control and Forward Collision-Avoidance Assist. While the new Forte won't be everyone's cup of tea, we give Kia props for making an effort to make its cars more appealing to the masses, something it's been struggling with for a long time. These interactive showcases will let visitors learn all about the new Stinger.